The use of wristbands to identify hospital patients has been a standard practice for well over half a century. Handwritten, typed or printed, wristbands were originally created to provide an easy way for caregivers to verify identity at any point along the patient’s healthcare journey. From newborns in the delivery area to geriatric patients in rehabilitation, everyone got a wristband. And that’s how things worked until the introduction of barcode technology. 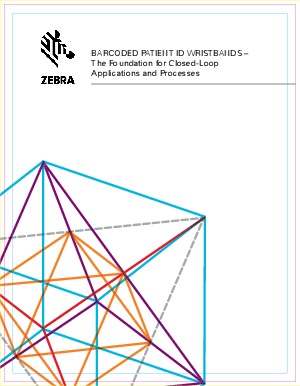 By putting barcodes on hospital wristbands, healthcare facilities can leverage a host of connected technologies to improve safety and quality of care. It’s also the most effective way to comply with the National Patient Safety Goal (NPSG) to “Improve the accuracy of patient identification,” which the Joint Commission has included in its annual goals since 2003.